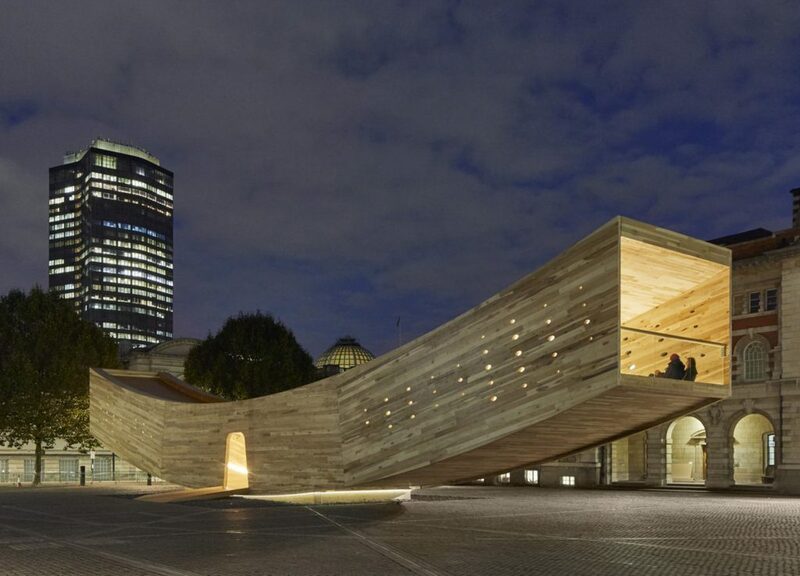 Following our previous post featuring the Lazerian Chromatogram cardboard pod, we’re taking a look at similar space creation projects where architects have built innovative timber ‘sanctuary like’ spaces. 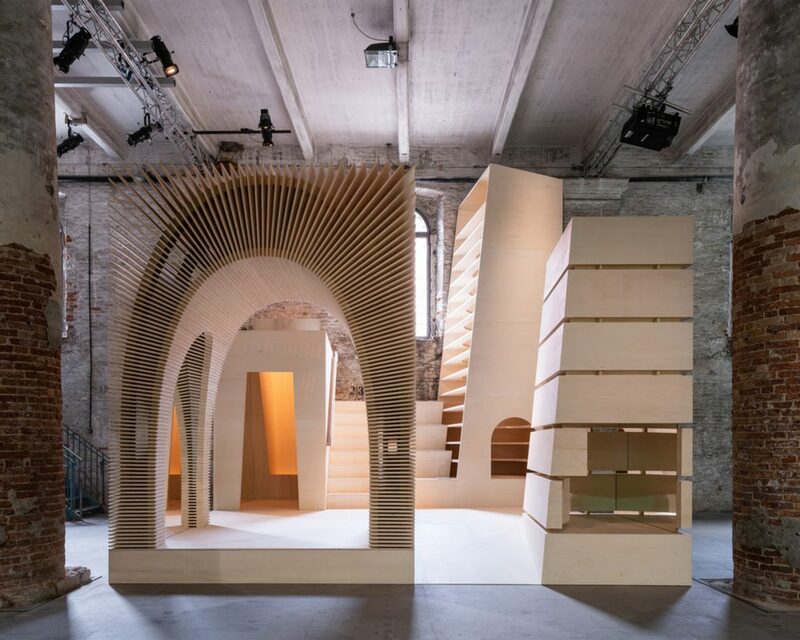 For the Venice Architecture Biennale 2018, Alison Brooks Architects created the site specific installation ReCasting as a group of habitable spaces, recreating fragments from some of her other buildings. From her Freespace brief she addressed the subject of urban dwelling through a series of unique spaces – mirrored surfaces, organic geometries and forced perspectives from plywood construction. Brooks also created The Smile, a public pavilion timber installation at Chelsea College of Art during the London Design Festival, showcasing the structural and spatial potential of cross–laminated hardwood. The 34m-long, cantilevered square tube provided an immersive, sensory environment with both ends acting as viewing platforms across its Edwardian surroundings. Brilliantly combining Chinese tea-drinking rituals with contemporary architecture, Chinese architects Minax have built several unique timber construction tea-rooms that offer a heightened sense of space. For the One Teahouse in Shanghai, Minax crafted a futuristic cocoon-like space, drawing on architectural traditions with hand-crafted wooden sticks. 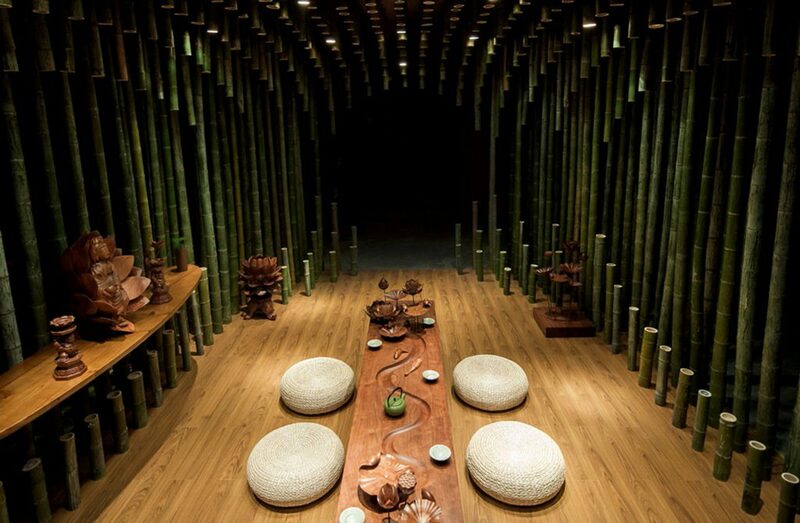 A similar ellipsoid spatial illusion was also exploited in its exhibition showcase exhibit The Lotus and Bamboo Tearoom that was furnished with wooden-carved, winding creak and Lotus blooms inside a Bamboo multi-dimensional space. Designers of the amazing 2020 Olympic wooden lattice stadium in Tokyo Kengo Kuma Architects have recently created some beautiful, but somewhat smaller, timber environments. Their 4m-high, spherical Kodama pavilion project, in the Italian Arte Sera forest, was constructed by hand without the use of metal or glue, in collaboration with craft workers, to create a unique, contemporary natural timber sanctuary. 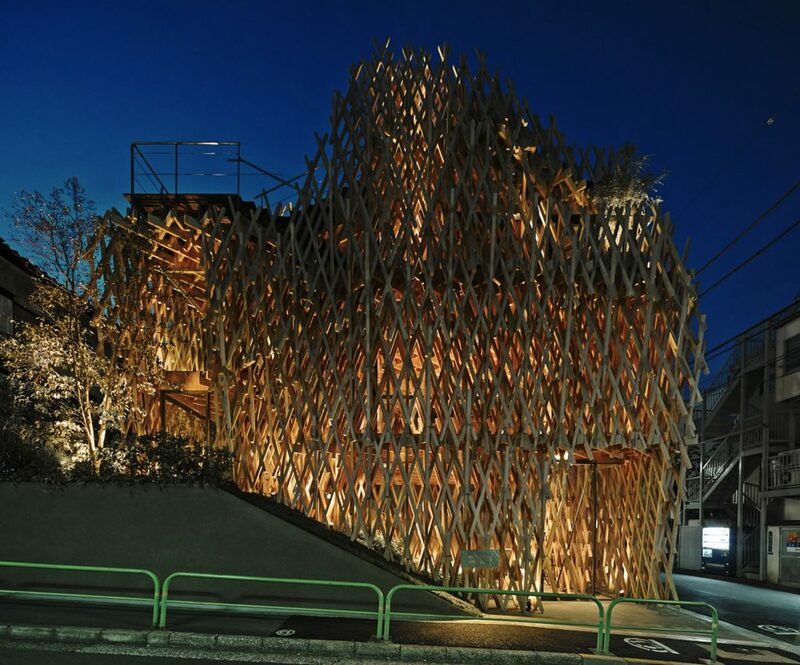 The Sunny Hills Cake Shop, also by Kengo Kuma, employed a timber joint system used in Japanese wooden buildings. 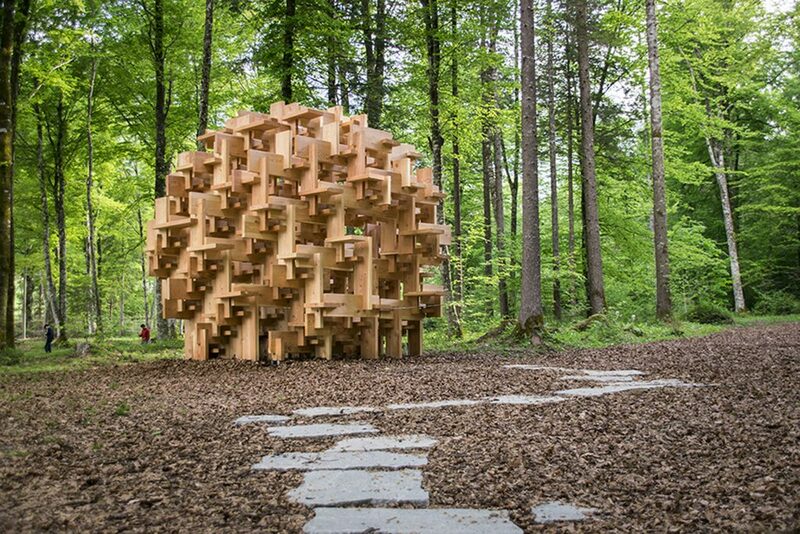 The three-dimensional structural system allows a very ‘human space’ within a timber forest cloud.